These are all the wonderful little clothes and socks and shoes and bows in a package we received a few days ago from my Aunt Harriet and Grandmomma (aka GG to her great grandkids). There are all kinds of cute little tiny people clothes. I got rather excited when I opened it up. 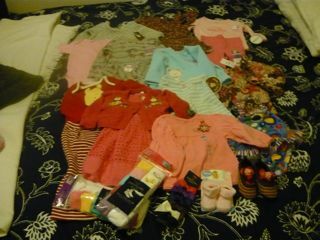 So many thanks to Aunt Harriet and GG ( and my dad for mailing the package) for all the cute clothes! Tiny little socks all in a row. I just couldn’t help myself. 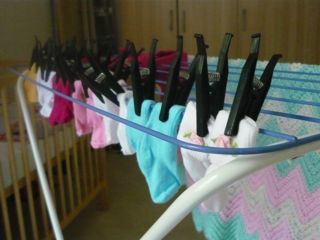 Really, is there anything cuter than baby socks? 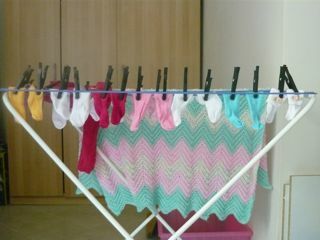 This is Paul’s more artistic shot of the socks.